A Victim Of Abuse or Struggling in a Bad Marriage? Home/What is Abuse?/A Victim Of Abuse or Struggling in a Bad Marriage? It can be very confusing to people who feel abused in their marriage, to try and determine if the cause is a dysfunctional relationship that may have some abusive features, a spouse with a mental illness or domestic abuse. In fact, some of the abusive ways one may be treated by their spouse may be similar from situation to situation. What determines which type of situation one is actually faced with is the underlying dynamic. Why is it important to make the distinction between whether the emotional abuse (for example) is due to mental illness, dysfunction or is domestic abuse? Because the most appropriate intervention will vary depending on what the underlying issue is, in a given situation. In the case of domestic abuse, the abuser employs a pattern of systematic, coercive tactics, to instill fear in order to gain and maintain power and control in the marriage. The most common tactics used by the abuser are: economic abuse, emotional abuse, threats, intimidation, isolation, and sometimes physical or sexual abuse. The abuser does this, because he believes it is his absolute entitlement to have power and control, of his wife, in his marriage. For the abuser, it’s all about this entitlement. It is his conviction that he has the right to everything revolve around him without having to consider the needs, wants or concerns of his spouse. There are times, when a spouse might feel that they have been subjected to one or more abusive tactics by their spouse, but it is actually not a case of domestic abuse. To effectively understand what else might be going wrong, when a spouse may feel abused but it is not a case of domestic abuse, it’s best to begin by exploring what a marriage looks like when things are going right. A healthy relationship is one in which each spouse feels responsible, and sees it as his or her tafkid, to enjoy, consider and take care of the other – emotionally, spiritually, physically and psychologically. When this dynamic is present, we can refer to this as a functional marriage, because both partners are functioning in their intended roles, and the marriage works in the way it was intended. In general terms, a dysfunctional marriage can be defined as one in which one or both spouses is not abiding by the principle that defines a healthy, functional marriage. 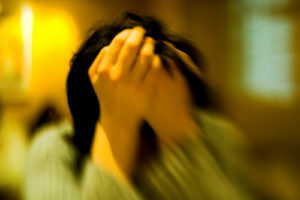 The times when that breakdown in functioning can be so bad as to feel abusive, usually fall into one of two categories: 1) certain mental illnesses 2) where one or both spouses has a profound inability to function in a healthy way as a spouse: manage conflict, negotiate, communicate effectively or appropriately, think of marriage in terms of giving instead of getting, which leads to the sporadic use of an abusive tactic. There are a variety of disorders which can cause someone to react to their inner turmoil in ways that then feels abusive to his/her spouse. One example of this would be borderline personality disorder. One of the hallmarks of someone with borderline personality disorder is the person’s intense fear of abandonment. This fear often causes the person with BPD to be controlling as well as exacting with their spouse. Any attempt on the part of their spouse to have independence in belief or action that is contrary to theirs provokes the fear of abandonment which in turn becomes rage. In that rage someone with BPD can become very abusive, but again the etiology is very different. Another example can occur when married to someone with intense anxiety, or obsessive compulsive disorder. In the case of OCD people use rituals of various types in an attempt to calm their anxiety. In these cases, if the person with the disorder is prone to ‘include’ their spouse in their attempt to alleviate anxiety, it can feel very abusive. For example, someone who uses obsessive orderliness in an attempt to alleviate anxiety, upon coming home to things being ‘out of place’ might become vicious in their verbal attack that would sound similar to how an abuser would be described. There are indeed several examples of situations where someone might feel abused by their spouse, where the etiology is actually a mental illness. When a spouse who is suppose to be giving and respectful, can only think in terms of what s/he should be getting out of marriage, in the extreme, this can look very much like domestic abuse. Coupled with, or even as a separate issue, if this spouse does not know how to manage conflicts or communicate appropriately, disagreements can, at times, dissolve into name calling or even a fit of rage. There may be a demand for things to revolve around him/her; or, an expectation that is more focused on self rather than giving. The ability or interest in compromise, or resolving conflict, rather than having thing’s one’s way may seem to be non-existent. What is differentiates a case of domestic abuse from one of dysfunction is twofold. First, while there may be abusive behavior, there is not a systematic pattern of coercive control. When the dysfunctional spouse’s behavior is examined carefully, one can see that the abusive treatment is sporadic and often only comes at times of conflict or potential conflict. Second, while the spouse who is trying to be that giving, caring spouse, may get overwhelmed by the demanding self centered behavior of the dysfunctional spouse, s/he actually could step out of that role and say no to the various and numerous demands. Not that it would be easy. The healthy spouse in a marriage has always wanted and expected to fulfill that role in an appropriate way. Also, this intentional role change may be frightening, because the anger, or perhaps the fragility, that the unhealthy spouse displays seems difficult to challenge. In fact, a challenge to the dysfunctional spouse’s self-centeredness may at first make the marriage seem even more dysfunctional, because it increases discord, as both spouses are now “fighting” for their own needs. However, in a dysfunctional marriage it is possible to stop assuming the caretaking role and assert one’s own needs. In this situation the absolute belief in the right to power and control does not exist. Consequently, there is a limit to how far the dysfunctional spouse will actually go, leaving the other spouse with more options. Not true of the abuser. His spouse doesn’t have the option of fighting to get her needs or her opinions considered, because if she did try to stand up for herself, she would have to contend with much more than just discord or unpleasantness. In an abusive relationship, the abuser will continue to escalate the consequences, making things increasingly unbearable or frightening for his spouse, until she feels she has no choice but to comply with his expectations, or leave. If she is not interested in doing that, she then only feels that she has one option. The importance of making the distinction between these categories of ‘marital problems’ cannot be overstated. What will be an appropriate intervention for one situation, will be a waste of time for another. What will helpful in that situation will be unsafe in still another. If you are struggling with feeling abused, but don’t quite know what to do, getting a proper assessment of the situation will be the best first step towards help and health. Please see article How Do I Know if I am Being Abused? Lisa Twerski, LCSW, has been working with victims of domestic violence for over twenty years, maintains a private practice in Brooklyn and lectures locally and nationally on many subjects including domestic abuse, marriage, and dating. Parts of this article have been excerpted from her book, I’m So Confused, Am I Being Abused?